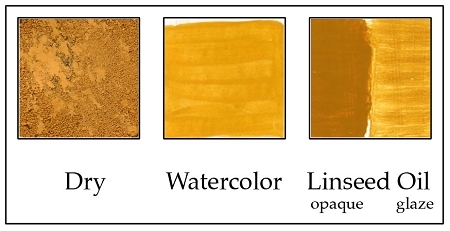 Similar to natural golden ochre, but a purer and more even shade. Opaque, outstanding tinting strength, surpasses other ochres. PY42, Fresco color. Q: Is DG920 Iron Oxide the same as Translucent Iron Oxide Yellow py42? And if not, where can I get py42? A: No, this is not the same as a Translucent Iron Oxide Yellow PY42. We do not carry the Translucent Iron Oxides.